We want to live our REAL life! 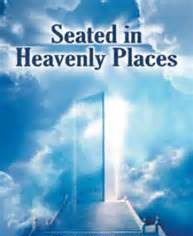 Heaven to Earth, Earth to Heaven. Multidimensional, natural, supernatural. This is not a fantasy. True Christianity is the greatest adventure that anyone can ever have on this earth. True church life, the way it was intended to be, is a supernatural experience. It is life from another realm beyond this earth that brings true life to the earth. 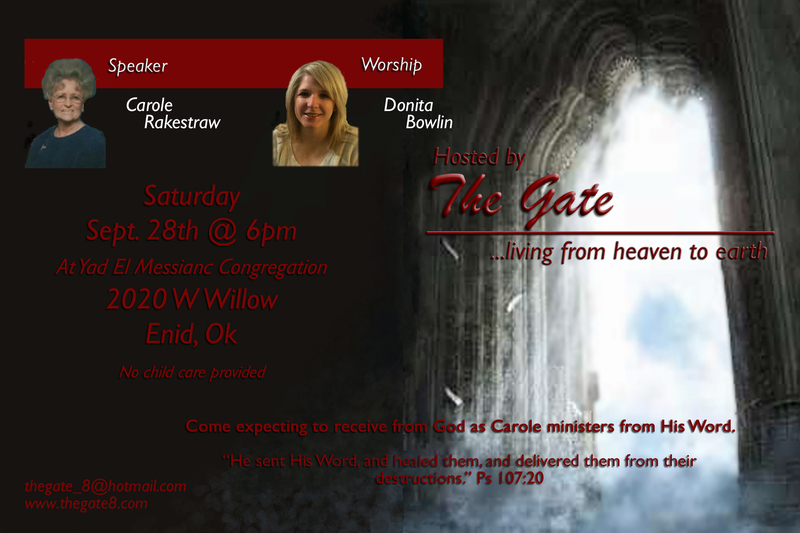 We are hosting Carole Rakestraw Sept 28th. Carole operates in the gifts of healings and word of Knowledge. Many lasting testimonies from the April meeting with her. Mark your calendars for Sept. 28th @6pm. You don’t want to miss this night of healing. Meeting at 2020 W. Willow Enid, Ok east side of Heritage Hills shopping center at Yad El Messianic Congregation.